car_brand_image - Bob Lutz, again? Bob Lutz was a brand himself with a very powerful image. The truth is he was one of the very few top executives in Detroit who understood the real value of design in the car business. And he understood not just the value of the design but the design itself. He could have a real exchange of ideas with designers at any level, being a good source of inspiration, motivation and advice. He used this talent to connect two parts of a company which, especially in Detroit, are very segregated. One is the business itself, logical, analytical, based on numbers and exploring the existing. The other is the design, emotional, intuitive, a lot of times based on gut feeling. 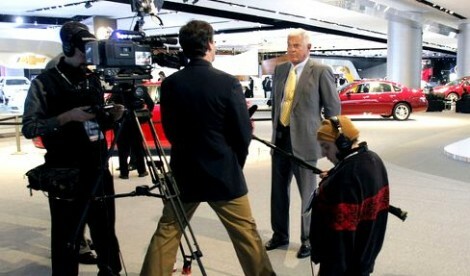 Bob Lutz became known to the public at large while at Chrysler, between 1986-1998. He was initially responsible for the product development and later became president and COO and then vice chairman. Under his leadership, the design, under Tom Gale, made a lot of progress, being recognized for its originality and risk taking. Chrysler perhaps lacked in engineering, the performance and reliability of its cars being below the competition, and even in design, the interiors were never at the level of the exteriors. Lutz was a blow of fresh air for the corporation, but the exterior, as the only positive part of the product, a successful brand does not make. In 2001, when Lutz was hired by GM, the corporation had already in place an initiative for improving the quality of its interiors and the engineering was in a much better shape than Chrysler’s. Between 2001 and 2009 I worked on several interior projects and also in a new group specifically entrusted to ensure GM vehicles meet high quality targets. I could see Lutz’s initiatives taking shape, resulting in the current lineup which today is, from the exterior and interior design and perceived quality point of view, close or equal to the competition. The latest models, such as Cadillac CTS and SRX, Chevrolet Malibu, Buick Enclave and the now gone Saturn Aura and Vue are light-years ahead in design, engineering and quality, of what the same corporation was making in the ‘80s, ‘90s and even the first half of the 2000s. GM perhaps overlooked one of the most important ingredients necessary in this business: brand image. 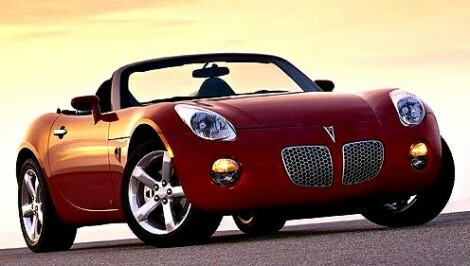 Adding the “GM mark of quality” logo on each vehicle doesn’t mean anything because “a brand is not what you say it is. It’s what THEY (the consumers) say it is” as Marty Neumeier points out in his book. Both, Chrysler and GM, look like unfinished business for Lutz. Is that because he was a maverick trying to change the Detroit culture a little at a time? Or was he part of the culture itself and tried to improve it without changing the culture? At 76, Bob Lutz seems full of energy and one should not be surprised to see him again in a leading position with a car company. UPDATE: Just one month after publishing this post, on June 28, 2010 Automotive News (sub) announces that Lotus Cars Ltd. is poised to tap Bob Lutz to advise the British niche carmaker on a five-year turnaround plan. You are currently reading Bob Lutz, again? at car_brand_image.